Blog » SEO » What’s the best way to find valuable keywords for SEO? What’s the best way to find valuable keywords for SEO? 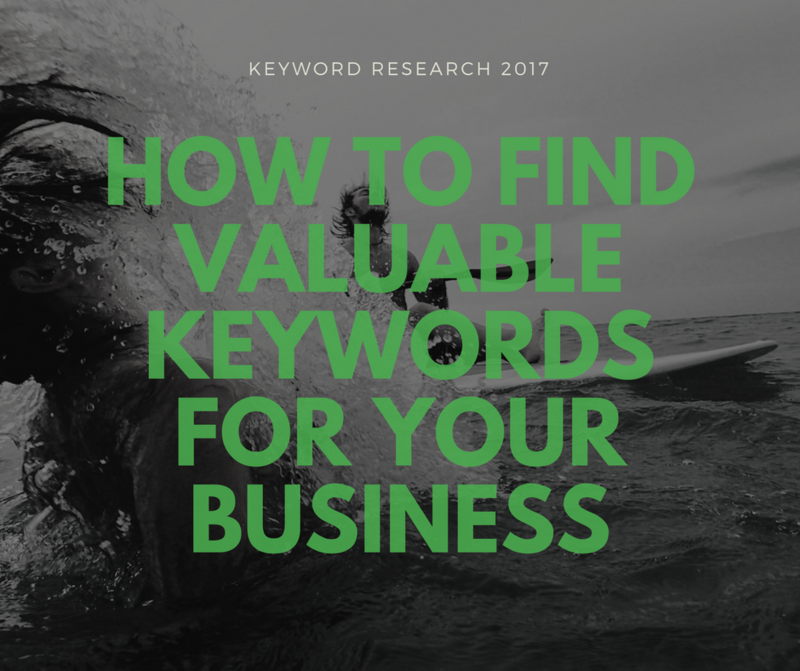 Keywords are seeds that you need to grow a business. There are a lot of useful keyword research tools which are used to find profitable keywords. However, in this post, I am going to only talk about Google Keyword Planner tool specifically. When you find great keywords to target, you can use them in your SEO strategy such as, by using them inside your copy and link building campaign. What tool should you use for Google keyword research? Google keyword planner tool is more widely used by freelance SEO consultants because it is free and more accurate than the rest of the tools. Another reason is, it is a keyword research tool by Google itself. How to use Google keyword research tool to find the right keywords? First, compile a list of seed keywords which you think your potential customers might be searching when they look for product and service you offer. This list can be comprehensive or very short. It depends totally how many keyword variations, products or services you are offering on the website. Now carefully use those keywords in Google keyword planner tool search. High advert competitive keywords are keywords which your competitors are mostly using in their adwords campaign. More people use those keywords because of higher buyer intent. That’s the reason for more CPC and also advertising competition. These keywords are hard to rank well because all your competitors are trying to rank for the same keyword. It is advised that if you don’t have much SEO resources at your disposal at the moment do not pick high competitive keywords. These keywords have low buyer intent so this is why most of your competitors are not targeting these keywords. This means that you have a great chance of ranking your website on those keywords with quite less effort. Lower buyer intent doesn’t mean that those people wouldn’t buy a thing, but it means that those keywords by nature don’t have words like ‘buy’, ‘purchase’, ‘get’, etc.. So if you are a good salesman you can easily convert those low buying intent users into customers. Sometimes your competitors are too busy to trying main keywords and they forgot these gems of a low competitive keyword. So, it could be a great opportunity for your business. So which keywords you should use between high and low competition? If you have great SEO resources at your disposal, then using high competition keywords will benefit you more in terms of sales and business. Otherwise, use low competition keywords. Hold on, it is not over yet. Now that’s a fun part; you have to find the actual keyword competition by searching all those chosen keywords in Google search. Important: Use Google local search if you are targeting audience in specific country. If you are targeting multiple countries then use Google.com to search the keyword competition. Check out this local SEO Guide as well which covers the topic of local SEO and can help you find keywords in your local region. Check out top 5-10 search results on the first page of Google. Note them down on a spreadsheet or notepad? If those websites have a huge brand authority like IMDB, Wikipedia, Facebook, and so on then you have a weaker chance of ranking on the 1st position. However, they are beatable if your page content offering better value to general readers than the article on Wikipedia. Also keep an eye on how many search results are there to compete with. If those are some huge numbers like above 100m or so then it would be a little difficult to rank your website. Pick the keywords which have low search results, lower search competition. They are easier to rank a website. Let me know what other keyword tools do you use and how do you usually find keywords for your SEO campaign in the comment section.